Photo: Mark Fulton offering physical and spiritual hope and healing. For more than half a century, the Church of God has enjoyed an incredible history in Haiti. 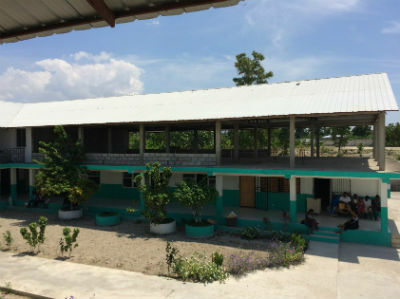 From church planting to the establishment of schools, God continues to be on the move in the Caribbean nation, which unfortunately has become associated with natural disasters over the past several years—even the past few weeks. While Haiti continues cleanup efforts in the wake of Hurricane Matthew and grieves the loss of more than a thousand of their own, there is good news coming out of the community of St. Ard. The Church of God hospital, which has seen more than 100,000 different patients since it opened its doors in July 2005, is setting its sights on expanding. God has given the ministry, which is currently open five days a week, the exciting vision to become a 24-7 hospital and further promote physical and spiritual healing in Haiti. 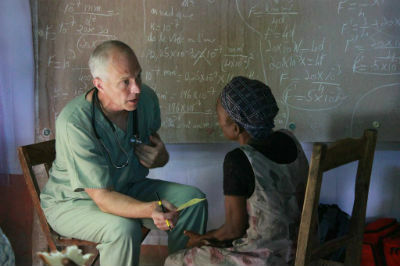 Did you know that the St. Ard hospital is staffed by indigenous Haitian medical professionals? Part of the strategy behind the ministry there is not to assign missionaries to do the work, but to empower and train leaders who can carry the work into the future. 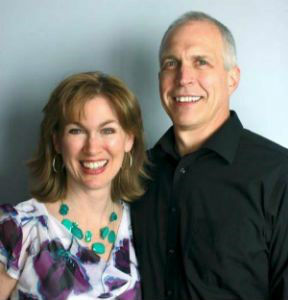 Global Strategy missionaries Mark and Kathy Fulton do an excellent job at just that. They’re thrilled at the opportunity to grow the hospital ministry so it can accommodate emergencies which, by nature, never seem to happen at an opportune time. Photo: St. Ard Hospital with its unfinished second story. In order to make the vision come to pass, the Church of God must come alongside the Fultons in this endeavor. Due to government regulations, the dental and optometry clinics must be moved to the second floor of the building to make room for general medical, inpatient, and surgical services on the ground floor. The total cost of this phase of the project is $40,000. Plans have been drawn, a contractor has been selected, government approval has been granted, and the local medical community has expressed support. The cries of a newborn in expanded St. Ard hospital will one day be music to Mark’s ears. Would you prayerfully consider donating to support this life-giving project (Project # 42.30301)? Visit www.chogglobal.org/projects/ to learn more about this and other Church of God projects around the globe! This entry was posted in All Church of God, Global Strategy and tagged Caribbean-Atlantic, clinic, Haiti, hospital, Mark and Kathy Fulton, medical, medicine, missions, Project Link, St. Ard. Bookmark the permalink.